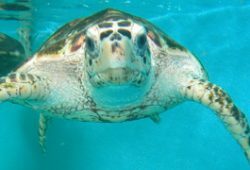 In the article it is spoken about Turtle Health Care. They say that when you like to experience how to have kids, get your own pet. If you survive, then maybe, you are ready to have your own baby. Turtles are like kids that need to be taken care of. They need attention, constant care and love from their caretakers. They also get sick. Unlike kids who can easily cry when something is hurting, these slow-moving pets obviously do not have the capacity to say what they feel. But a keen observer would know that something is wrong by merely looking at the turtle. A slight change in behavior and even change in shell color or even a change on their swimming pattern would indicate that something is wrong with your pet. Turtle care includes knowledge about these signs. The easiest indicator of an ailing turtle is its physical appearance. Their shells say a lot about it. A slight change in color or deformity will actually reveal that there is deficiency on its vitamin or calcium intake. Rashes or even scratch is a sign of an injury. Skin shedding for some animals may be normal but for a pet turtle it may be a sign of a fungal infection. Sick turtles also get runny nose and swollen eyes. Sneezing, coughing and gasping are not confined to humans because sick turtles get them as well. If you see these signs coupled with your turtles sluggishness, it may mean that your pet is suffering from bacterial or respiratory infection. This usually occurs if their habitats is contaminated so better check their turtle tank and keep it clean always. It may also be due to a wrong and imbalanced diet. 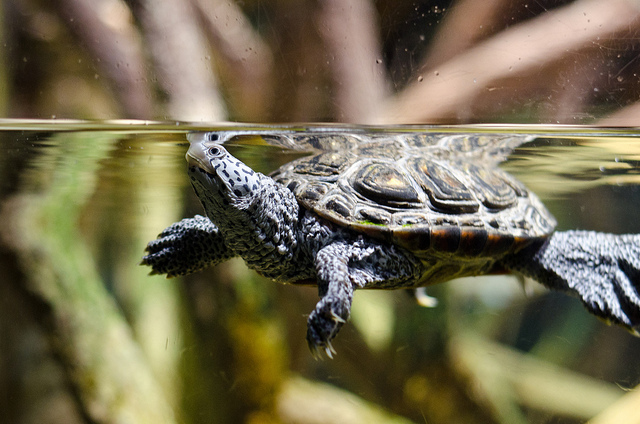 If your pet turtle stops eating or swims in an erratic manner coupled with the other symptoms mentioned above, then it may be suffering from the deficiencies and /or injuries already mentioned. Bringing them to an ordinary animal doctor would really help a lot in determining their sickness. Also take into consideration their tank or aquariums if it is clean. Their diet may also be a big factor, hence, knowing their eating habits before acquiring them is really important. 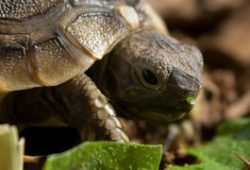 Now that you know the signs that your pet turtle may be ailing and the possible reason why they are experiencing such symptoms, you may easily identify what causes these ailments. 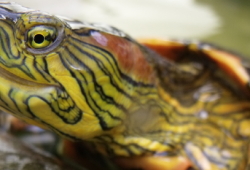 Protecting your turtle’s health is easy if you can easily recognize these signs. If all else fails, you always have your animal doctor that will help in taking care of your sick turtle.